Be sure to CHECK OUT THE VIRTUAL TOUR! WAY better than simple pics! Schedule your SHOWING TODAY! ADORABLE move-in ready 2 bedroom 1 bath condo in the Seven Springs community in beautiful Bear Valley! Nearby access to scenic BEAR CREEK TRAIL. BEST looking unit in the complex! 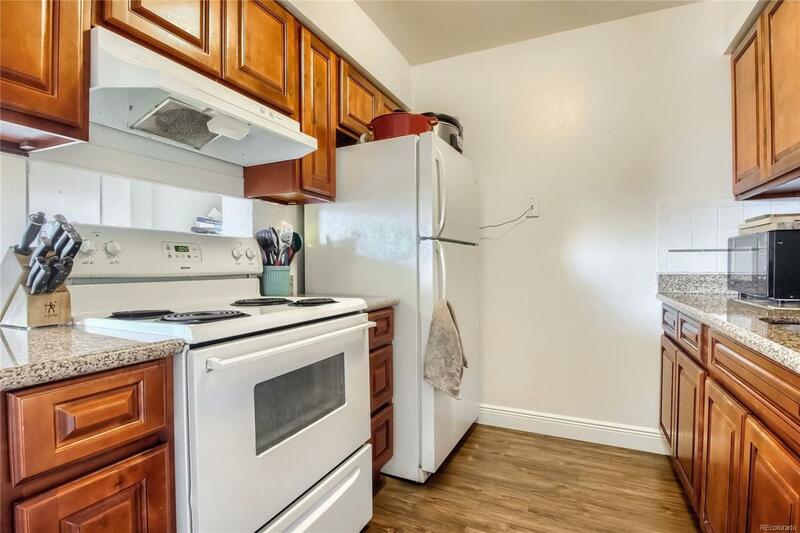 GORGEOUS updated cabinets, GRANITE counters, BEAUTIFUL updates throughout, LAMINATE WOOD FLOORING throughout, light and bright, CLEAN AND COZY! SPACIOUS KITCHEN plus DINING AREA that could also be used for convenient COMPUTER/WORK/STUDY AREA. 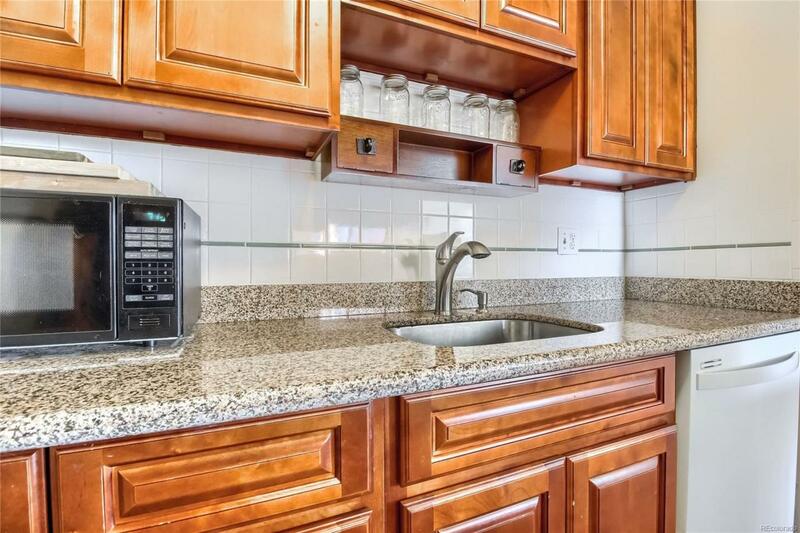 APPLIANCES INCLUDED: Dishwasher, disposal, oven/stove, refrigerator. 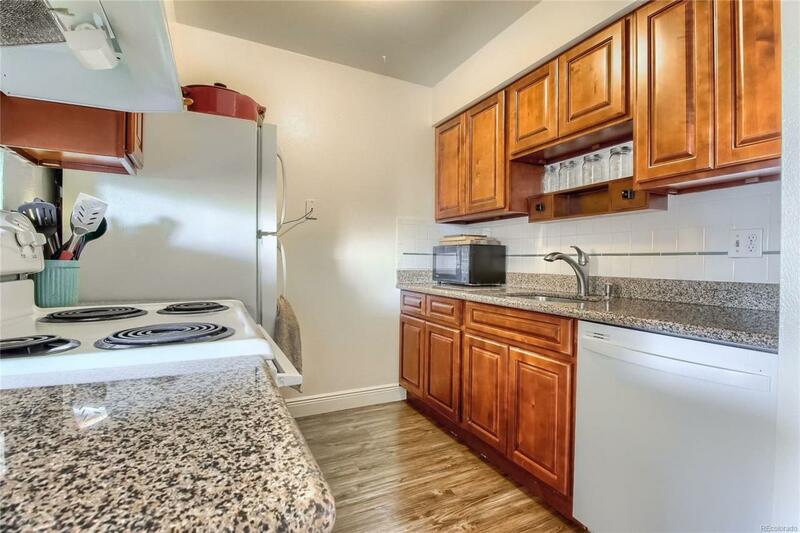 WASHER DRYER INCLUDED, as well as shared laundry facility in the complex. Cool off in the COMMUNITY POOL on hot summer days! Two PARKING passes with plenty of parking RIGHT OUTSIDE YOUR DOOR! Also plenty of guest parking available to all. HEAT INCLUDED in the LOW HOA DUES. 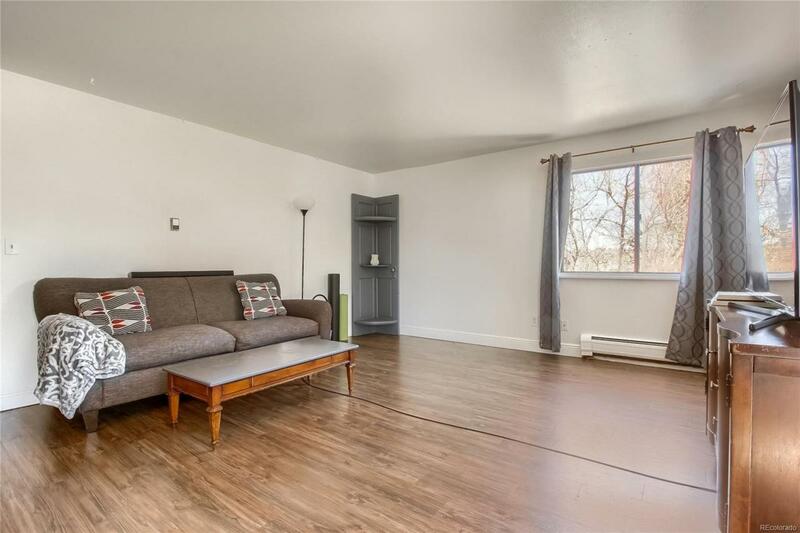 WONDERFUL HOME for buyers seeking AFFORDABLE Denver living or investor looking for a FANTASTIC INVESTMENT property! AVAILABLE TODAY!